The game will not run on modern computers – it stopped at a black screen upon startup, perhaps due to some illegal VGA function calls. It also cannot run on Windows Vista and above, or 64-bit version of Windows, due to a lack of 16-bit compatibility as well as full-screen support. These days, DosBox is the only option if I want to play the game. 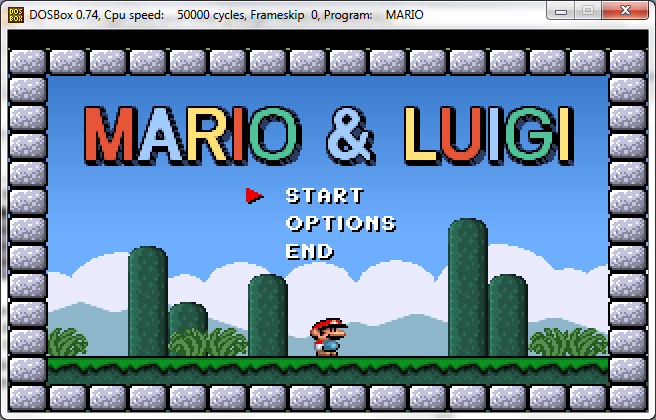 Interestingly, this MARIO game, and similar games by Wiering Software such as Charlie II, Charlie the Duck or Super Angelo play fine on DosBox but seem to have timing issue (the speed is very fast) when run from inside a virtual machine such as Microsoft Virtual PC, VmWare or Sun VirtualBox. 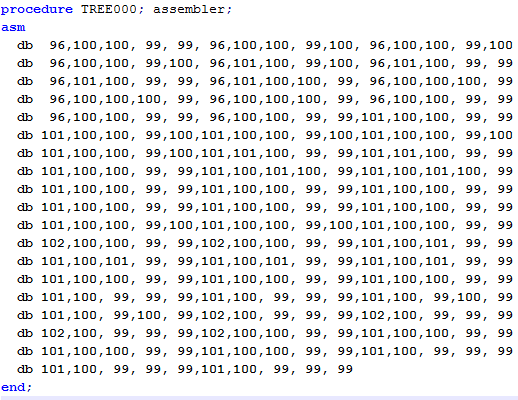 With some Pascal programming knowledge and time at hand, I decided to have a closer look at the source code, to figure out how Pascal is used in game programming, and this article will discuss some interesting facts that I have found. The first thing I learned was that the released executable was packed (as described in the README.TXT provided with the source code) to reduce file size to 57KB, perhaps with some MS-DOS packing utility. The compiled executable can be as big as several hundreds KB. In those days with 360KB floppy disk, this was probably a huge concern. 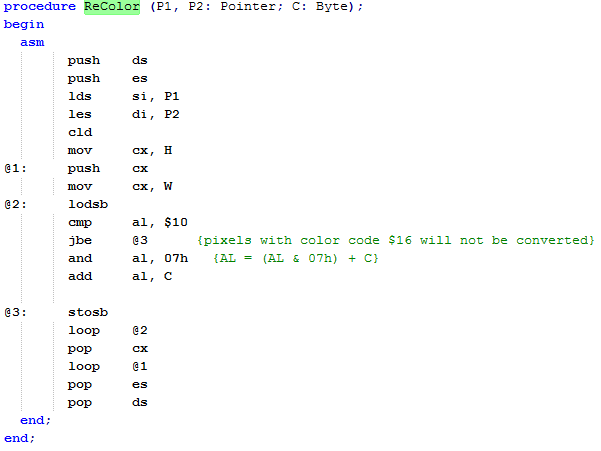 The source code is quite well organized into several Pascal unit files (*.PAS) and sprite include files (*.00?). 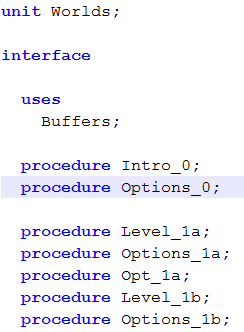 Variables are well named and procedures are well structured. Although there are few inline comments provided since the code was never meant to release to public, the code can be understood and modified by anyone willing to do so. BACKGR.PAS: Unit to support drawing the game background such as skylines. 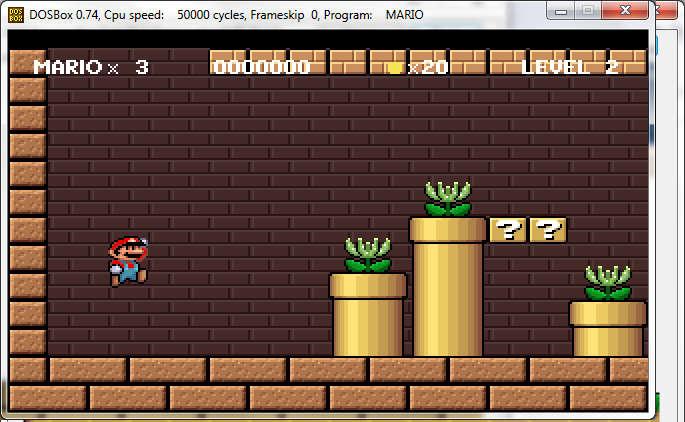 GLITTER.PAS and TMPOBJ.PAS: Display glitters such as stars that show when Mario hits coins or an object. PLAY.PAS: Main game logic, e.g. how MARIO interacts with enemies, objects, earn coins, etc. PLAYERS.PAS: Define the behavior of MARIO and LUJI. 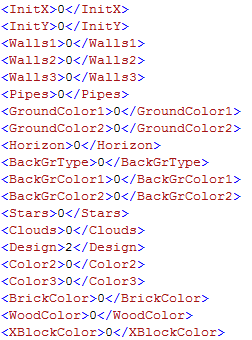 The point here is to store all sprites and level information into the code section, not the data section, of the program. The data segment in Pascal program can only contain up to 64K of data, and the game may grow beyond that. If slow read speed (earlier games ran on floppy disk) and having the game in multiple files was not an issue, an alternative would have been to store the data as external file. 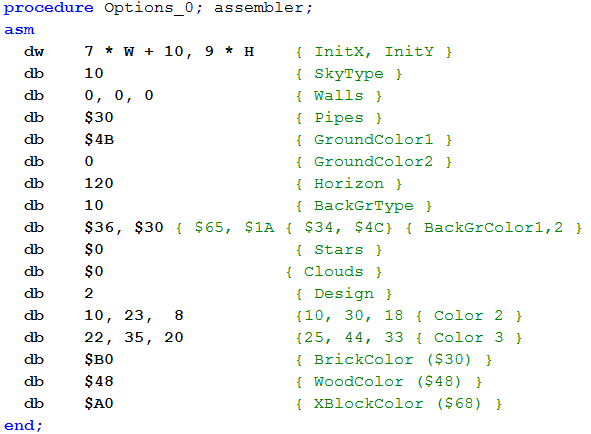 Each assembler directive defines each vertical portion of the screen. 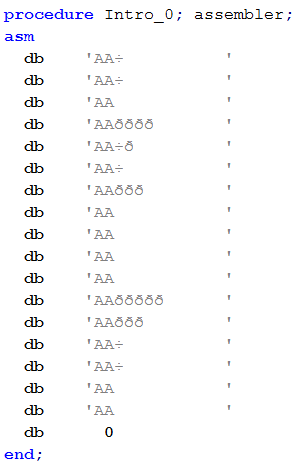 One DB is a string of 13 characters. Each character defines an object on the screen, from bottom to top. The character 0 marks the end of a level (e.g. DB 0). The same character may be interpreted differently in different levels if the level options are different – see function ReDraw() in FIGURES.PAS. 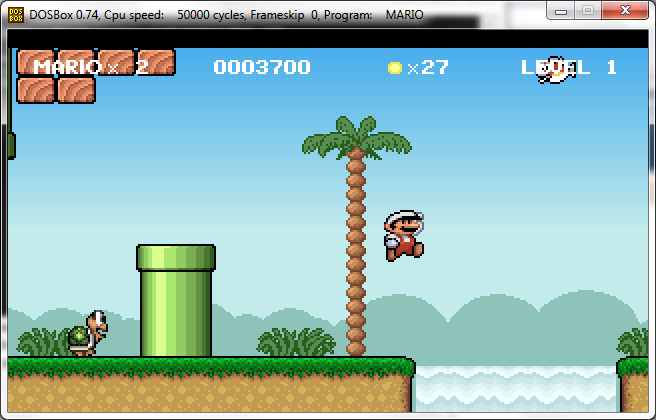 All level data will be loaded into variable WorldMap (found in BUFFERS.PAS) using ReadWorld(). Some levels may have certain pipes where Mario can dive in to enter a different area – these are defined as sub levels, for example, see Level_1b. When I was writing the code, there was something which surprised me. 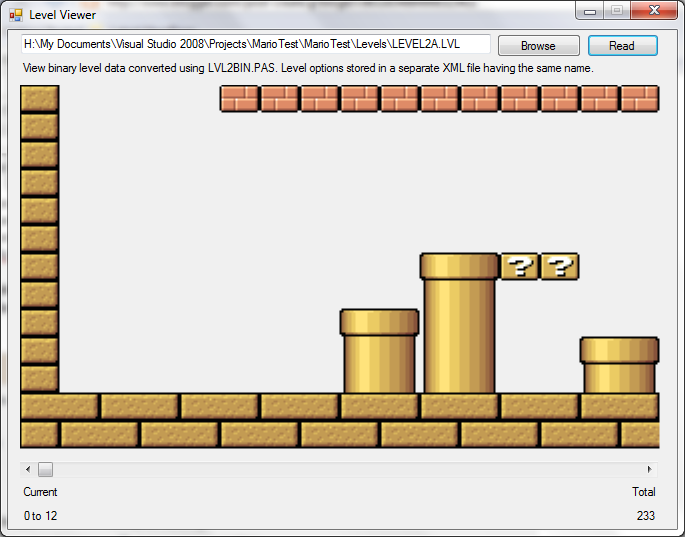 Despite the different look of the bricks between intro level (level 0) and level 2 (see image below), they actually come from the same sprite (BRICK0.000). I am unable to locate the exact problem and can only assume it’s due to something I might have overlooked. At this point I can proceed to draw the background, animated sprites (turtles, fish, …) and implement the proper game if I want. According to Wiering Software, these 3 games are developed based on the original Mario source code; however, their source code was never released. 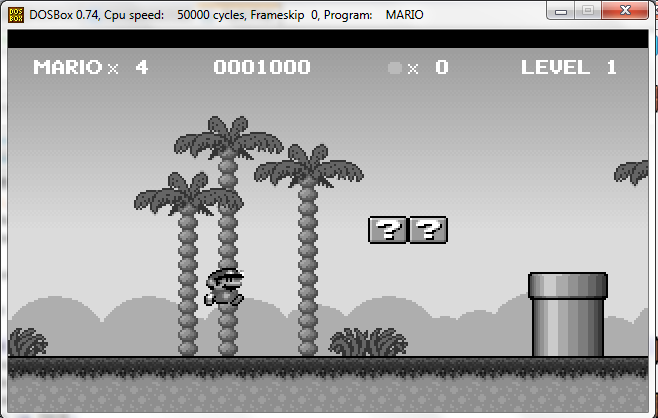 Charlie II (my favorite game) also has a Windows version which was perhaps written in C++. As of 2011, it’s pretty clear that no future DOS versions of these games will ever be created, and any future version will perhaps only be in Flash. Click here and here if you want to try out. Nevertheless, I hope this article will be useful for those who want to port the game to other platforms, or to learn something about game development in Pascal. By the way, if you’re playing Charlie II and receive an error “Unexpected error no XXXX, please contact Wiering Software”, don’t think it’s a bug with the game. Most likely you’re using an activation key generated by a crack tool which does not satisfy all the requirements. In this discussion, Mike Wiering said that several checkings of the activation code are done at various places using various different algorithms in the game and a cracker may not have located all those places. So if you got the error, simple try a different key. 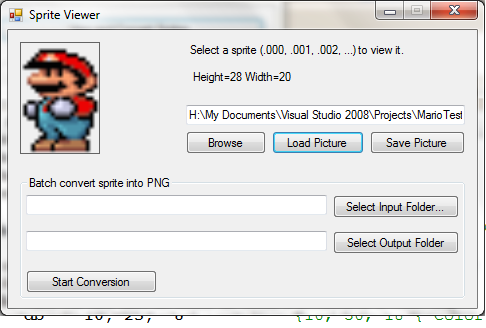 The full .NET source code to convert sprites and view the levels can be downloaded here. Hello; if you don't mind, could I ask you a few things regarding this game? Thanks a lot! I was using DrawImage function instead of PutImage, and was getting double buffered error. Thanks! The function PutImage solved the problem. Press S. The HUD will dissapear, and it'll run faster. It worked for me. 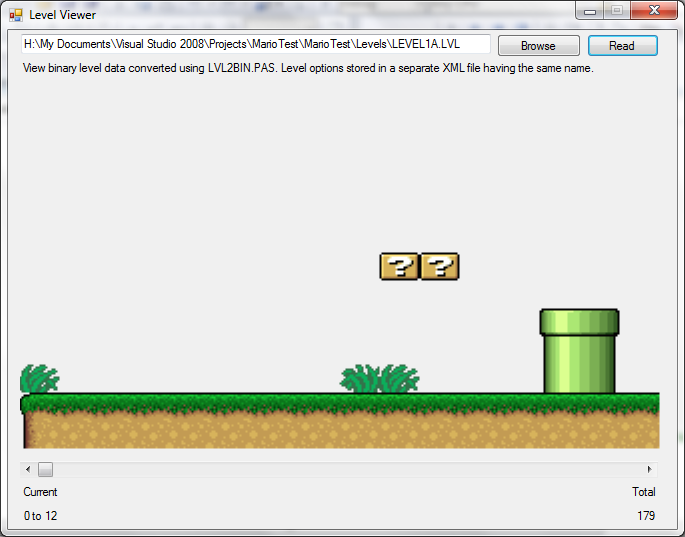 You can download the source code of the level viewer from the link at the bottom of the article. From there you can compile it using Visual Studio 2008 or newer (VB.NET). I may be able to upload the compile executable when I have the time to. Great! Let me know if you need other information. Looking forward to any progress updates on your retro machine project. thanks for this great articel. I want to compile the source for TP 5.5 but i get an error. There is an file not found in the palettes.pas. (MPAL256.). do you have an idea what can be the problem? 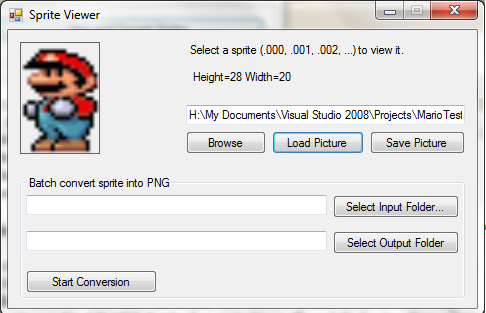 and another question: is it possible to convert a png sprite back to the GRED fileformat? i know its an old sourcecode in an older language like pascal but i'm very interested in to learn the basics. maybe you can help me a little bit and thanks for sharing your knowledge. where C:\TP55\ is the path to your Turbo Pascal 5.5 folder and TPC is the executable name for the Turbo Pascal Compiler. Try to store the source code and Turbo Pascal in the root folder of the drive and keep the directory name short as DOS programs doesn't like long file names. Make sure that you have Turbo Pascal version 5.5, 6.0 or 7.0. You can download v5.5 (free) from http://progopedia.com/version/turbo-pascal-5.5/ . 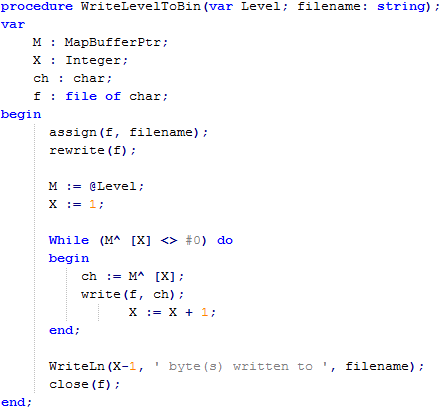 The source code for Turbo 5.5 can be downloaded from this site http://www.wieringsoftware.nl/mario/source.html and extract it. 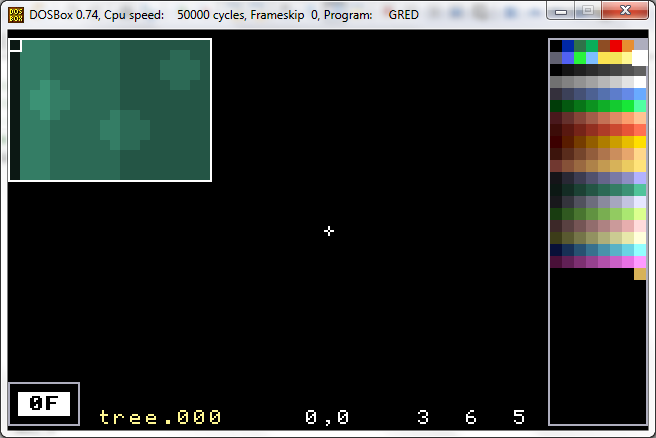 As for GRED, it supports saving sprites into a proprietary binary format or Pascal/C source code. It only supports reading sprites from its own proprietary binary format so it's not possible to tell GRED to load a PNG file. What you can do, however, is to write a Windows program (in Java, C# or VB.NET), load a low-res PNG file and save it in the GRED file format. The file format is documented in the GRED.TXT file, located in the source code folder. You can refer to the .NET sample code downloadable at the end of the article for some hints. Let me know your progress and if you have any questions.